The year was 1984 and I was six years old. I was over my friend Evan’s house, who I envied because his dad let him watch R-rated horror movies like Cronenberg’s The Fly while I had to battle my parents any time I wanted to watch something that was PG. Because of this, I had to resort to reading novelizations for movies like Indiana Jones and the Temple of Doom. I also received my horror fix by reading the work of Stephen King. Yes, my parents were okay with me reading stories about supernatural clowns who kill children, but they felt Jeff Goldblum tearing off his skin was inappropriate for a six-year-old. My reading comprehension was also very advanced for my age and I was far ahead of the rest of my first-grade class in this subject, but flash forward to years later in junior high and I would no longer be a gifted student. Instead, I was below average, although this was partially due to fearing school because I was the victim of bullying. The bullying may have stopped in high school, but I continued to receive poor grades, and this didn’t stop until I graduated from college the first time. Recently, I was walking around my neighborhood and walked on Evan’s street, but I couldn’t figure out where he used to live. On that afternoon thirty years earlier, my dad was also spending time in the house. He was friends with Evan’s dad, who was one of the few parents who he spent time with when I was that age. Evan’s dad was showing us this thing called a “computer” that I had never seen before. It was an IBM PCjr, which was IBM’s first computer for the home computer market and, according to Time Magazine, “One of the biggest flops in the history of computing” at the time of its release. Evan’s dad (neither I nor my family can recall his first name) was showing us the first computer game that I had ever seen, and that game was King’s Quest, which had been developed specifically for the PCjr by computer game company Sierra On-Line. It belonged to a genre of computer games called adventure games, which were popular in the eighties and the nineties. King’s Quest was the first 3-D animated game of its kind, meaning players interacted with the game’s surroundings through their actions or by walking around. Prior to its release, all adventure games were either text-based or consisted of “unanimated rooms” that players couldn’t interact with visually. Sierra was a pioneer of adventure games and most of their popular games belonged to the genre until the genre’s decline in popularity. Despite King’s Quest’s primitive graphics, I was fascinated as I watched my friend’s dad play the game and provide commentary. I had played video games before, but I had never before seen a game where the player interacted with their environment by typing commands. Watching this little pixilated figure who was known as Sir Graham walking past a castle’s moat monsters was as engaging as watching the rare PG-rated movie that my parents let me see. I was in awe as he went behind the castle into its gardens, typed, “Get carrot,” and picked it up. And then it utterly blew my mind when he went to a goat pen, typed, “Show carrot to goat,” and the goat actually started following him, then Sir Graham tried to walk across a bridge with the goat, but a troll appeared to block his path. And the next thing that happened was incredible: the goat kicked the troll into the river, allowing Sir Graham to continue on his way. It may seem like I’m exaggerating as far as my reactions to the events that I just described, but let me assure you, this is an accurate record of my experience at the time. After this experience, I wanted a computer of my own, and my quest to obtain one was easier than Sir Graham’s quest for the three legendary treasures of Daventry: I just had to bug my parents a little and wait a few months for my birthday. Three days before the end of the year and I was the ecstatic owner of an IBM PCjr, which I ended up sharing with the rest of my family. In addition, my parents also bought me a copy of King’s Quest, which consisted of a single floppy disk. It also came with a short booklet that contained a typed story that provided background info about the game: King Edward the Benevolent was having trouble impregnating his wife, so a sorcerer showed up and promised to help if they gave him their magic mirror that predicts the future. They took one last glance in the mirror and saw a young man being crowned king. Thinking this was their son, they gave the mirror to the wizard. But alas, it was all a lie. Years later, the queen was sick and on the verge of death. A dwarf appeared and offered to trade a plant’s root that would cure her for the kingdom’s shield “that protects its wearer against danger.” King Edward accepted the dwarf’s offer, but he had again been lied to, and the queen soon died. So the king needed a new queen, and he found her when he came across a young princess who was surrounded by bloodthirsty wolves. Rescuing her, the king asked for her hand in marriage, and she accepted. But on the night before their wedding, she stole Daventry’s chest “that is always filled with gold,” transformed into a withered crone, and escaped out of the castle by riding on a broomstick. Following the thefts, the castle fell into ruin and the kingdom transformed into the kind of place where you wouldn’t want to raise your children. So the king entrusted his best knight, Sir Graham, to recover the treasures and return Daventry back to its former glory. And if the knight were to complete his quest, he would become king (hence the title of the game). I treasured this booklet, which contained paper that was artificially aged in an attempt to make it look older that it was. I believe my edition of the game was a later version that came out a year after its first edition because according to Wikipedia, it originally didn’t have this intricate backstory. But I’m one hundred percent sure that the game came with the story. Another thing that’s odd about the story is that the treasure thieves are very incidental characters in the game and are no longer the keepers of the treasures when it begins. Instead, they are enemies that will either kill you and bring the game to an end or annoy you: the witch cooks you in her pot, the dwarf steals from you, and the sorcerer casts a spell that freezes you, “leaving you at the mercy of the forest creatures,” which sometimes results in your death and other times causes a run-in with the dwarf. So I spent the night of my birthday pretending to be Sir Graham and occasionally encountering these enemies because I had no idea how to avoid them. Now, playing an emulator on my computer, I realize the best way to do this is to walk along the edge of the screen whenever possible, but this is not something that most seven-year-olds are able to figure out immediately. Not only did I have to deal with the treasure thieves, but there was also other enemies to avoid such as an ogre and a wolf. I found my many deaths frustrating and my only defense against it was to save the game whenever I thought I made progress in the game, like when I obtained an item such as a golden egg. But saving the game was extremely tedious: it was impossible to save game data on the computer. Each time I did it, I needed to replace the game disk with a floppy disk that was initially blank and save the game onto it, then put the game disk back into the drive. This was equally obnoxious whenever I got killed and needed to restart the game from a saved game. But this was nowhere near as aggravating as the game controls. Sir Graham’s movements were controlled by the arrow key, but his actions were carried out by typing commands into the game’s parser at the bottom of the screen. Often, it was extremely difficult to determine the correct thing to type. Sometimes I knew exactly what Sir Graham should have been doing, but I didn’t know exactly how to phrase it. The game was merciless in requiring me enter the exact words that the game’s creator’s programmed the game to understand. A typical response was something in the vein of “You cannot do that,” although the later version that I’m playing right now on a rom emulator is more personalized: “Please try something else, Sir Graham.” All of this was made even more difficult because I had never used a keyboard to type before. I would often play the game with my father, who would type out the commands for me, but after a while, I began to do it myself. And a little later, I would end up using my newfound skill to write stories. I would spend some afternoons after school in my dad’s office while my mother was working. He had a computer for me to use, but it didn’t have any games. So I would occupy my time by writing a “story” on the computer on an old version of WordPerfect. The “story” was about an adventure that my friends and I had inside a haunted house in an attempt to find the pirate treasure that was hidden inside. I keep surrounding the word “story” with scare quotes because I kept adding to it each afternoon and it ended up being hundreds of pages long. This was not the first “story” I had written, but it was the first one that I typed, as well as the first that was longer than one page. Spring fever is harmful. Spring fever is imaginary. Spring fever is invisible. When spring fever came in our classroom he went into Mr. Frazer. But he fought spring fever with his willpower. Spring fever tried again but it was winter. Although I had already written stories for the class, it didn’t really give me any opportunities to make creative decisions as far as my characters. I believe the decisions I made in regards to Sir Graham had a big influence on my decisions in my “story.” I would be confronted with problems in the game and my job was to solve the problems. If I failed to do so, I couldn’t proceed in the game and I will wander around aimlessly and get very bored. Usually, the problems were solved by using certain items that I picked up during my travels. The solutions in King’s Quest were rather simplistic, while the solutions in adventure games that I played later on were often convoluted and absurd. One notable aspect about the puzzles is some of them had more than one solution, and the “kind” solution gave me more points than the murderous solution (for example, you get more points if you recover the chest that is always filled with gold from a giant by putting on a ring of invisibility, waiting for him to fall asleep, and stealing it from him rather than shooting pebbles out of a slingshot and killing him). In addition, the game rewards the more creative solution: feeding cheese to a giant rat to get past him is favored over giving him a generic object of value such as a pouch of diamonds. Not that the points mattered to me as a child. They were like points in an arcade game: meaningless unless you’re attempting to get a high score. The only thing I cared about was recovering the lost treasures of the Daventry and becoming king. More often than not, the solutions in later adventure games were the most ridiculous possibilities imaginable. They required a lot of thought to solve and the secret to proceeding was to often ask myself, “What’s the most unlikely, roundabout way of going about this?” For instance, imagine if you needed to find a fish so you can lure a giant cat away from the treasure that it’s guarding. You would assume this would involve constructing a fishing rod, but the process would be a lot more complex. Instead of attaching a string to a stick and baiting it, you would more likely have to break into a coin-operated crane machine by employing the services of a car thief (who you bribe by getting him a date with the Home Shopping Network host who he loves, which is another intricate process), then stealing the machine’s mechanical claw and using the claw to catch your prey. Don’t believe me? Take 1999’s Gabriel Knight 3: Blood of the Sacred, which was Sierra’s final adventure game. At one point in the game, you must rent a motorcycle. But since it’s an adventure game, you cannot simply rent it. Instead, you must impersonate a police detective in order to obtain the vehicle. To do this, you must wear a fake mustache (even though the detective doesn’t have a mustache). But again, this is an adventure game, so obtaining a fake mustache isn’t as easy as it would be in real life. You must create a mustache out of cat hair. Again, this is not as easy as it should be. The way to do this is probably the most complicated adventure game solution ever. If you don’t believe me, google “cat hair mustache puzzle” and learn why the genre is no longer popular. 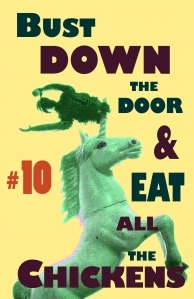 Currently, I write humorous, absurdist fiction. I believe my childhood playing adventure games is the reason why I do so. And it all began with King’s Quest. 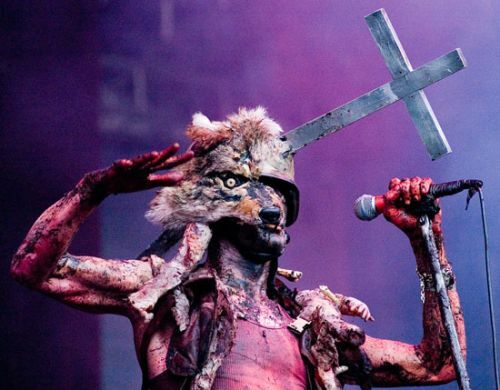 I got completely obsessed with industrial music when I was a freshman in high school. I first started listening to Nine Inch Nails and Ministry. This led me to Wax Trax! Records’ box set anthology, Black Box. It was only available on CD and I didn’t have a CD player, so I bought one for this purpose. Before I got into industrial music, I listened exclusively to rap. Both angry (at least most of the rap music that I listened to), both usually not having much to do with rock. It seemed like industrial was an obvious musical path for a white teenager who’s into rap to take in the nineties if they were interested in getting into underground music. My favorite bands ended up being Leæther Strip and Mentallo and the Fixer, who I saw perform a couple of times at the Bat Cave in New York City. But now I haven’t been that interested in industrial a long time. I occasionally listen to my old favorite albums, but I’ve heard them so many times that they sometimes bore me. I’m also no longer an angsty teen, so I rarely listen to angry music. And I’ve mostly been unable to find any modern industrial bands that are interesting. It sounds like the genre hasn’t advanced since the nineties and the newer bands are retreading the same territory, but not doing as good a job as the old bands. Youth Code is pretty much the one band that I like, but they aren’t fantastic, although they have the potential to be great in the future. I really like contemporary movies and music that are made to seem like they were created in the past rather than the present. This is significantly different from current movies and music that either take place in the past or is in the style of music from the past. There’s this wonderful otherworldly quality to these sorts of things, particularly in movies that take place in the present but appear to have been created in this past. This is probably why Rob Zombie’s Halloween 2 is my favorite horror movie despite most people hating it. 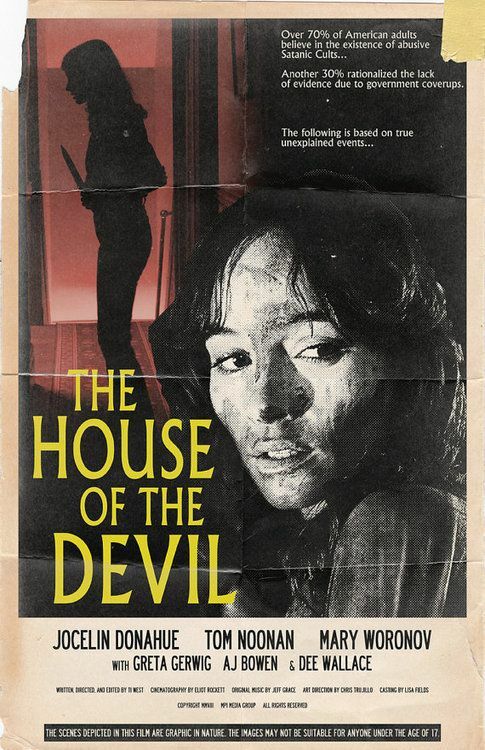 House of the Devil is another great movie in this vein. As for music, I like albums that sound like someone recorded a mix tape of pop music off the radio and it has just been rediscovered after rotting away in the attic for a couple of decades. Some people call this hypnogogic pop as far as music from the U.S. The musicians who I like the best are James Ferraro and Ariel Pink. The earlier albums of Ariel Pink sound so poorly recorded that they actually sound like they rotted in an attic. I much prefer his more recent albums because the recording quality is significantly better, but it’s very interesting to listen to the early songs because everything about them is fantastic except the quality. It’s like I’m being exposed to a beautiful artifact from an ancient civilization that’s in very poor quality. It’s like the albums that The Caretaker made out of recordings of ballroom music from the twenties and thirties, only Pink recorded it in what is probably the nineties and two thousands (and the diverse songs sound like they could have been radio staples anytime from the sixties until now). While in England, musicians are doing their own version of hypnogogic pop: hauntology, which is a term that’s a lot more commonly used. The big label there is Ghost Box Records. Rather than making music inspired by American pop music, it’s more about library music and what the BBC Radiophonic Workshop was doing. My favorite musical project of theirs is The Advisory Circle, although my favorite album is Pye Corner Audio’s Sleep Games, which is frightening instrumental disco that’s been given the hauntology treatment. Perhaps Italo disco sort of stuff. I was obsessed with cult movies when I was in high school. I would drive all over Long Island to different video stores in order to offer clerks money for used VHS tapes. Stuff like Caligula ($40) and Herschell Gordon Lewis movies (with their huge boxes that were awesome and lurid). I would sometimes drive up to an hour to get to a store. I miss gas being cheaper. Kim’s Video was probably my favorite place to go in NYC. There was this one Tower Records near me that had a lot of Russ Meyer videos, but they were $80 a pop because he distributed them himself and maybe he was kind of greedy. But my kleptomaniac friend would steal one for me pretty much every time we went to the store until I had everything. I did spend a lot of money there on stuff that wasn’t ridiculously priced, like books. It probably had the best selection of books that I’ve ever seen, like the stuff that Creation Books put out (although they usually fell apart). I think it appealed to me even more than Powell’s way later in my life (and that place is an entire block, I think). Whoever was buying the books had great taste. Sadly, when I returned to the store after college, they barely had any books and they weren’t appealing at all. A bunch of years later and the place closed. In a way, I feel like Jonathan Hickman is Grant Morrison’s successor in the comic world. Like how Grant Morrison was sort of Alan Moore’s successor. But while Morrison gets people who usually aren’t interested in superheroes to read his “mainstream” work, Hickman isn’t like that yet. He’s just one of the top authors at Marvel at the moment: one of the Marvel Universe’s current architects. And he also writes stuff for Image Comics, like The Manhattan Projects, which is great and completely insane. Anyways, the thing that inspired me to write this is that I’m currently rereading his runs on Avengers and New Avengers, which are related to one another. They’re still going on, and I was reading the issues as they were coming out, but I got super confused after a while because of all the details and my poor memory. It’s just the sort of comics that read better collected than in single issues (I’ve felt the same way about Morrison’s comics ever since Seven Soldiers). Avengers and New Avengers are also very hit and miss, although New Avengers is the stronger one out of the two. They’re also occasionally difficult to understand, particularly because the characters who are brilliant scientists actually talk like brilliant scientists. And both of the runs start out strong as far as the first volumes of each series. But after that, the story occasionally progresses slowly, like a European art film, but with lots of explosions. It’s all the result of planning the story three years ahead before he started writing the issues (I assume he did something similar with his Fantastic Four run). 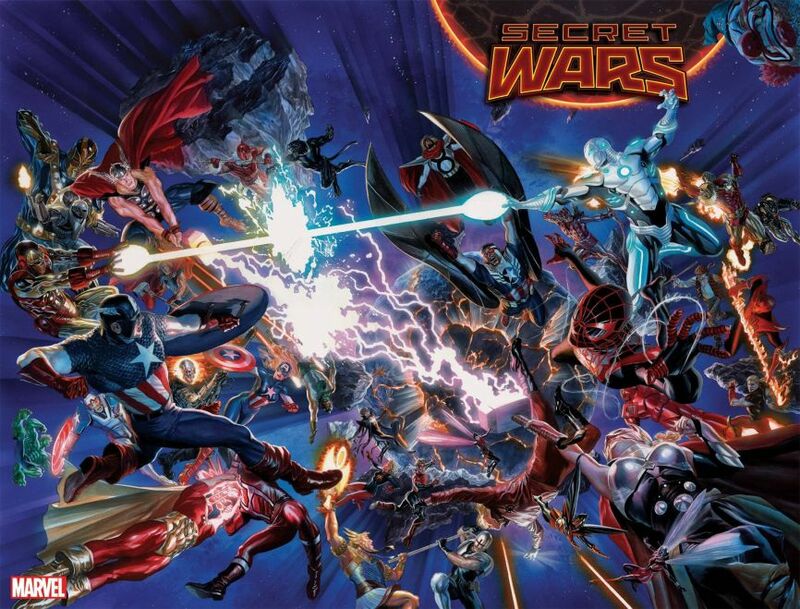 And every issue works together to build up to the new Secret Wars, the new big crossover that features lands based on nearly every crossover event in the company’s history. So check out his Avengers and New Avengers if you’re into Morrison, Marvel’s Cinematic Universe, or are reading Secret Wars. But be patient with it. One collected volume might not thrill you, but another one is likely too. And the one that you felt so-so about will pay off in the long run. When I was in elementary school I was really into reading “true” ghost stories. And these often kept me awake at night, and I would go into my parents’ room and tell them that I couldn’t sleep. I would blame it on a stomach ache, although I actually usually had one as well. So they got me tested for lactose intolerance by having me go to some place and chug a bunch of nasty sugar water. And it turned out that I had it. But after drinking gross lactaid milk for a while, I sort of forgot about being lactose intolerant and went back to normal. And since then, dairy has affected me in really minor ways, although rich ice cream has always been a problem. Well, my stomach has been hurting a lot lately, and now I’m back to actually acting like I’m lactose intolerant. And the pain has stopped because of my change of diet and my use of lactaid pills before the occasional meal that consists of delicious cheese. Anyways, the scariest book of supernatural stories that I read was called The Crystal Skull. NEVER read it! It’s scary! So scary that the book doesn’t seem to exist anymore. There’s no possible way that I mixed up the title. It was a children’s book filled with various stories that were supposed to be true. Not just about The Crystal Skull. That was just one of the stories. 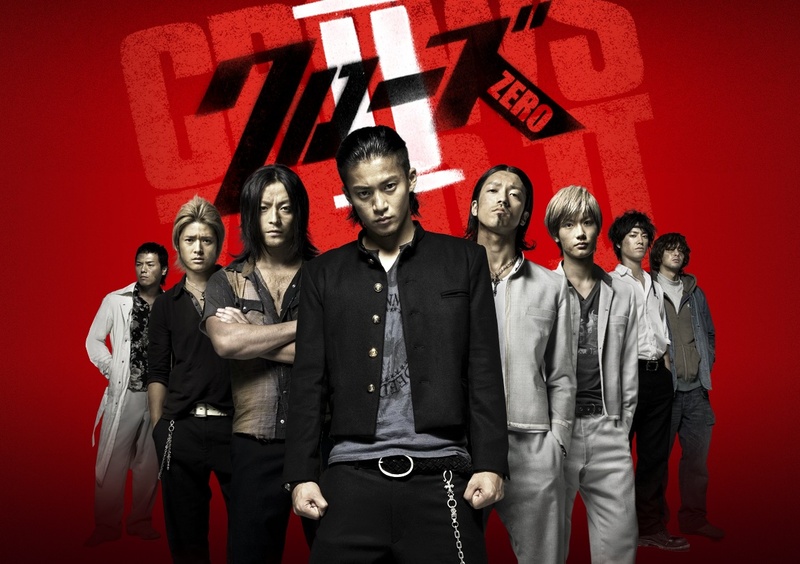 Takashi Miike’s Crows Zero was my main inspiration for writing Dodgeball High. It’s about a high school that doesn’t seem to have classes. Instead, the students use martial arts to beat each other up in order to become the top ranked fighter in school and take control over it. I don’t remember ever seeing a teacher in the movie, which was kind of confusing. Well, Dodgeball High is different because the students actually go to classes, and all the classes are devoted to playing dodgeball. I recently saw Crows Explode, which is the third movie in the series and pretty cool. Miike also directed the first sequel. Toshiaki Toyoda did the second one. He also directed Blue Spring, which is a fantastic movie and sort of similar to Crows Zero, except it’s pure drama rather than action. After I came up with the concept for Dodgeball High, I also found out about the novel Kung Fu High School, whose title inspired “Dodgeball High,” although it was originally just a working title. My editor, Cameron Pierce, talked me into using it. Anyways, Kung Fu High School is a great book and its similar to Crows Zero. I think it’s supposed to be a YA book, but it’s brutal. One blurb even compares it to American Psycho. The author sold the movie rights and I hope it becomes a movie. If they do it right, it will be better than Crows Zero.